If your client has been doing festival hair right – dry shampoo, hairspray, SPF along the parting – it’s likely they’ll be dealing with a lot of product build-up. To clarify their roots, massage INVIGO Aqua Pure Purifying Shampoo into dry hair for one minute, then add water to create a silky lather before you rinse locks clean. Glitter roots are going nowhere. In fact, we created the look for a squad of festival-goers at Belgium’s Tomorrowland 2018 festival. 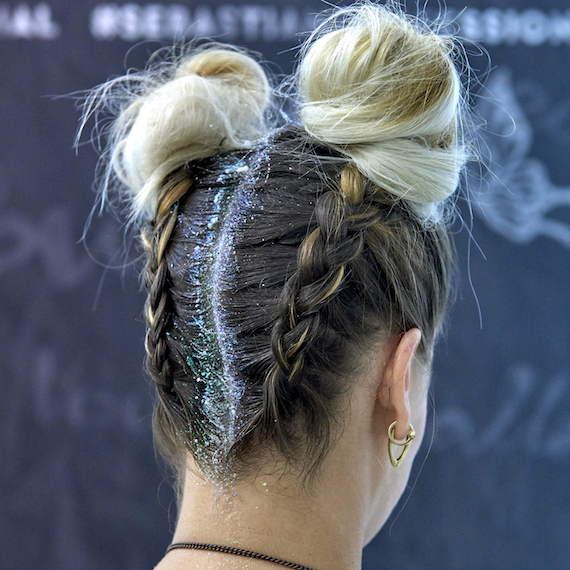 The look is super-striking, but if your client is struggling to get rid of the glitter, tell them to spray some hairspray on a cotton pad and blot to lift flecks away. For really stubborn sparkle, we recommend using INVIGO Aqua Pure Purifying Shampoo (again!) and leaving it to settle for a few minutes before you rinse and repeat. 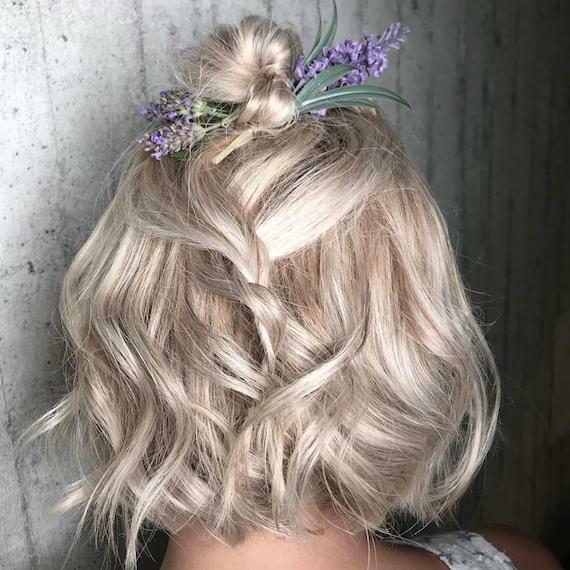 Brassy, sun-bleached color is really common after a festival, for the simple fact that your clients end up spending more time than usual in the sun. There are two ways you can refresh their color: a) give their hair a glossing treatment or, b) suggest they use INVIGO Blonde Recharge if they have blonde highlights. Post-festival frizz isn’t like normal frizz. If your client has been backcombing and over-styling, their hair will be more fragile and tangled than usual. To get the knots out, wet their hair then smother it in INVIGO Nutri-Enrich Deep Nourishing Mask. Use a wide-tooth comb to gently comb the mask through, starting at the ends and getting gradually closer to the roots. For damaged locks, give your client a standalone WellaPlex treatment, which will help to reconstruct the damaged inner bonds for stronger hair. Send them home with the Fusion collection of intensely reparative products, and tell them to swap heat styling for a loose braid (with no tight hair bands) while they give delicate strands a rest. For more stylist tips and inspiration, check out the @WellaHair Instagram. You could even get featured if you tag your own incredible creations with #WellaHair #StylistsDoItBetter.